Resolution: 2160p. Sharp, LC-55Q7030U. Smart Functionality: yes. Backlight Type: LED. Key Features GRADE AFully Functional. We proudly stand behind the quality of our products. Screen Size (Diag.). The 4K Spotlight channel makes it easy to find available 4K content across popular streaming channels. With a super-simple remote and both a dual-band Wi-Fi connection and Ethernet port, it is fast and easy to access your favorite content. Resolution: 2160p. VIZIO, D55-F2. Smart Functionality: yes. Backlight Type: Full Array LED. GRADE AFully Functional. We proudly stand behind the quality of our products. Screen Size (Diag.). Screw Size: M6 x20mm. 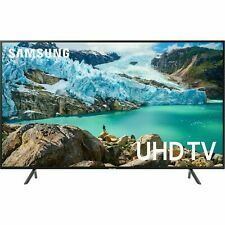 SAMSUNG UN55LS03NAFXZA. Ultra High Definition TV with 4K screen resolution (3840 x 2160 pixels). Motion Rate 240 blur reduction (120Hz refresh rate). all inputs are HDCP 2.2 compatible for connecting to 4K video sources. MFG Part #: OLED55E8PUA. LG OLED Display. 4K Cinema HDR. LG ThinQ AI. Glass TV Design. Catalog #: LGOLED55E8PUAOB. Drones - All defects can be handled under the manufacturer's warranty. Photo & Video. HDMI Ports: 3 HDMI 2.0 w/HDCP 2.2 (1 ARC); Resolution: 3840 x 2160; USB Ports: 1 USB 2.0. Pairs 4K Ultra HD picture clarity with the contrast, color, and detail of Dolby Vision high dynamic range (HDR) for the most lifelike picture. Hisense 55H6E 55 4K UHD HDR Smart LED TV 2160p 60hz ULTRA HD Slightly Used. Condition is Used. Shipped with USPS Parcel Select Ground. 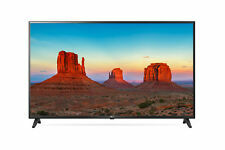 Vizio E55-C2 55" 1080p HD LED Smart HDTV - 2015 Model. Condition is Used. Shipped with USPS Parcel Select Ground. OLED TV with absolute black and vibrant colors. 2160p resolution for breathtaking HD images. Sony's refresh rate technology enhances the OLED's unique panel speed to allow fast moving action sequences in sports and movies to be seen with lifelike clarity. This LG 55UK6300PUE 4K TV supports more premium content choices, all optimized with scene-by-scene picture adjustment, plus LG ThinQ AI, LG Sound Sync, with a immersive rich Ultra Surround sound. A Slim Unibody design that surrounds 4K screen with a barely-there bezel on all four sides. Fast N Easy Pawn has provided specialty financial services to individuals in the Appleton WI, Green Bay WI, Oshkosh WI and surrunding areas since 2008. We are one of the largest providers of secured non-recourse loans, commonly referred to as pawn loans, in the area. We would like to introduce you to the next big thing in TV: the Element TV E4SFT5517 55" Class Smart 4K UHD TV. Proof that you really can have it all, these full-array LED TVs come with 2160p resolution, giving you unmatched clarity and contrast. Built-in Wi-Fi and superior HDMI compatibility put you in control, letting you stream music and videos from your favorite devices with crystal-clear images, superior surround sound and advanced picture controls. And with Dolby Digital audio, your favorite shows are going to sound better than ever. These features are guaranteed to keep you ready for the future of television. Resolution: 2160P. Stunning depth of HDR Plus™ and more colors than HDTVs create a breathtaking 4K picture. 4K Premium Picture. Smart Functionality: yes, with Bixby Voice. Backlight Type: LED. This item is refurbished to original factory specifications. Ultra High Definition TV with 4K screen resolution (3840 x 2160 pixels). to view 4K and HDR content from connected sources, use a compatible high-bandwidth HDMI cable. all inputs are HDCP 2.2 compatible for connecting to 4K video sources. Trending at $736.54eBay determines this price through a machine learned model of the product's sale prices within the last 90 days. Model : 55H9D Plus. Hisense 55H9H Plus 55" 4K Ultra HD Smart LED TV. Built-in Dual-Band Wi-Fi & Ethernet. Smart Features. Inputs and Outputs. Web Browser. Streaming Services. 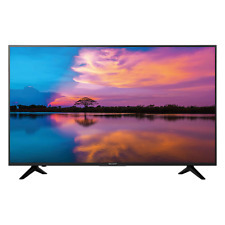 This Vidao 55CRV4K 55" Class Curved LED 4K Ultra HDTV supports 4K video signals for the absolute best visual detail, with minimum glare, and maximum clarity. 4 HDMI inputs allow you to connect all the devices in your home for stunning UHD picture quality. The new MHL features allows you to stream movies & more with a Roku Stick or other MHL device. This LED TV also features a USB Port to instantly view photos! P/N: UN55NU8000FXZA. MPN: UN55NU8000FXZA. 55 Class NU8000 Smart 4K UHD TV 54.6-in LED-LCD. Stunning depth of HDR plus more colors than HDTVs create a breathtaking 4K picture. HDR 10 optimizes every scene for a more remarkable HDR experience. Keep your eyes on the size. With a high-resolution picture, intuitive menu navigation, a variety of display options, crisp sound and super-slim design, the Hisense 55H8E 55" Class Smart LED 4K Ultra HDTV With Wi-Fi will earn you major bragging rights. Personalize your experience with tons of included apps like Netflix, YouTube, VUDU, TikiLive, FandangoNow, iHeartRadio and Pandora, or surf the internet with the built-in web browser. Its also equipped with a UHD Upscaler to bring lower-resolution content as close to 4K as possiblea truly affordable luxury. Upgrading your home? Nothis is more like upgrading your life. Hitachi, 55R80. Smart Platform: Roku. Resolution: 2160p. Smart Functionality: yes. Backlight Type: LED. GRADE AFully Functional. We proudly stand behind the quality of our products. Screen Size (Diag.). Product Type 4K UHD LED Smart TV. 02 VIZIO Smart TV with 2018 SmartCast OS. Download the VIZIO SmartCast App. Top reasons to choose the E-Series Smart TV. 01 Brilliant 4K HDR with Active Full Array. MFG Part #: 55SK8000PUA. LG ThinQ AI. 4K Cinema HDR. Billion Rich Colors. Catalog #: LG55SK8000PUAOB. Photo & Video. Nano Cell Display. Drones - All defects can be handled under the manufacturer's warranty. BRAND NEW !! FACTORY SEALED !! USA Warranty !! Samsung, QN55Q6FAMFXZA. Backlight Type: Edge-lit QLED. Resolution: 2160p. Smart Platform: Q Smart with Bixby Voice. Smart Functionality: yes. GRADE AFully Functional. We proudly stand behind the quality of our products. Enjoy fun family viewing on a ultra-high definition big screen with this AVGO 55" UHD 4K LED TV. It has plenty of convenient inputs, including 2 USB ports and 4 HDMI inputs. Make: AVGO. 4K has twice as many vertical and horizontal lines as a Full HD TV, resulting in a picture 4x the total resolution of 1080p. 1920 x 1080 Resolution. Type: 55" LCD Widescreen TV. Manufacturer: Samsung. This unit has been tested to successfully power on and display video. Missing stand, missing remote. Power chord not included. 55" Smart 4K 120Hz UHD HDR HDTV. Striking 4K UHD Picture. The 4K Spotlight channel makes it easy to find available 4K content across popular streaming channels. With a super-simple remote and both a dual-band Wi-Fi connection and Ethernet port, it is fast and easy to access your favorite content. Model 55LH5750. Widescreen widescreen. TV Tuner Presence Yes. HDTV Tuner Yes. Stereo Reception System MTS. Smart TV Smart TV. Product Line LG. Type LED-backlit LCD TV. Resolution: 2160P. Step up from Full HD with the clarity of the NU7200. This TV is a clear upgrade for your content. Redeem at checkout. 4K UHD Picture. CTA 4K Ultra HD Connected. Smart Functionality: yes. 4K Ultra HD Resolution. Active HDR. There are light surface marks on the body along the edges, the base, and the screen. LOCAL PICKUP ONLY. WebOS 3.5 Smart TV. Trending at $899.95eBay determines this price through a machine learned model of the product's sale prices within the last 90 days. Spectacular color and clarity is only the beginning for the Sharp 55" Class 4K Ultra HD (2160P) HDR Smart LED TV (LC-55Q7030U). Equipped High-Dynamic-Range (HDR), this TV gives you blacker blacks and whiter whites when watching video. 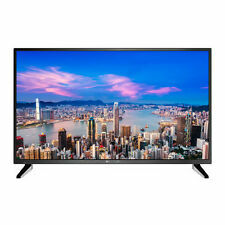 Magic Info S3 Samsung DM-E Series 55"
Samsung DM55E - DM-E Series 55" Slim Direct-Lit LED Display. 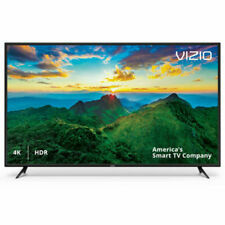 VIZIO 55" Class A -Series 4K (2160P) Ultra HD HDR Smart LED TV (2018 Model). Condition is New. Shipped with USPS Priority Mail Large Flat Rate Box. Discover a new world with the LG 55" Class 4K HDR Smart LED AI UHD TV w/ThinQ® (55UK6500AUA). 4K Active HDR. It also supports multiple formats of HDR content, including HLG and HDR10, resulting in rich, vivid imagery with scene-by-scene picture optimization. Viewing Angle. Screen Size. 40.12 lbs. Weight Without Stand. 41.01 lbs. Weight With Stand. 48.74" x 28.14" x 2.52". 48.74" x 30.34" x 10.04". A 55-inch TV gives you the size and flexibility to view your favorite shows, movies, and sporting events in high definition. 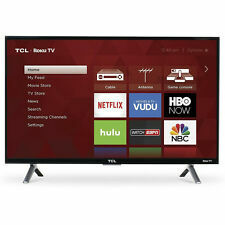 There are several different 55-inch TVs for sale on eBay, each offering a unique combination of settings, connectivity, and picture quality to suit your needs. The 55-inch flat screen TVs available come from a variety of different manufacturers and are compatible with many different types of media devices. What picture qualities are offered on 55-inch TVs? What kind of devices can be used with these TVs? There are a number of different compatible devices that you can use with these TVs. Multiple inputs can be used as well, as each TV has multiple ports for external devices. As long as a device has the compatible ports, it can be used with the 55-inch TV. To view your favorite live TV you can connect a streaming device or a cable box to your TV. Video game consoles can also be connected. In addition, you can connect a laptop to the TV to extend or mirror the display to view your content. Many of the 55-inch TVs that are for sale feature internet connectivity so that you can directly access streaming services and online browsing directly from the TV without the use of an external device. Are there any special geometric features of this screen size? Both flat and curved displays are available. In addition, some of the TVs feature ultra-thin designs that are designed to minimize the amount of space that they occupy. Curved displays are designed to enhance immersion by creating a picture that coincides more with your peripheral vision. Both curved and flat screened displays are able to display video up to an ultra high-definition resolution.